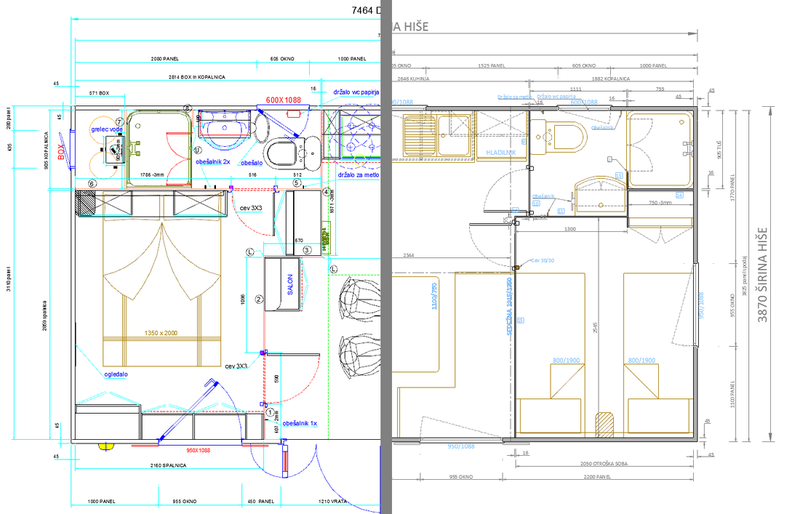 Company’s activities: Pioneered planning and manufacturing of mobile homes in Europe. Their technologically advanced approach and factory enables production of high quality products. - Automate the creation of colored drawings for more compelling presentations using Autodesk Impression software. - Style libraries, legends, title blocks, etc. 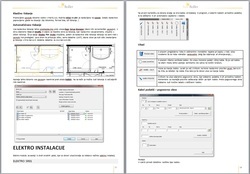 Custom made drawing template have been included all settings for precise drawing, necessary styles (Text, Dimension, Table, Multileader), Layer list and predefined Layer filters. A workspace has been set to offer tools for quick access. The company has already used large furniture libraries. However, their blocks were nested, contained excessive layers which resulted in difficult layer management and large drawing files. Their whole block libraries have been reviewed, updated or created from scratch. New dynamic blocks have helped reduce numerous blocks libraries, made them more flexible and manageable. 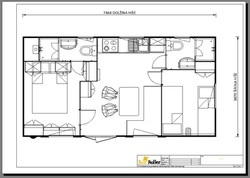 Drawing template has included 3 different Layouts that company preferred to use for plotting. They have all predefined settings, such us, paper size, paper folding edges, automated title blocks, printer type, pen assignments for colored or gray scaled plotting, etc. 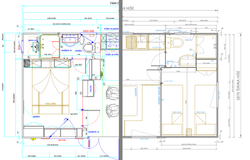 The Autodesk impression software enables a simple creation of nice graphics directly from AutoCAD .Dwg and .Dwf files. It recognizes data from drawings, such as layers, blocks, etc. and offers numerous graphic styles (pencils, markers, watercolors, etc.) to make the graphics more appealing. The company wanted to produce nice colored drawings for customer presentations and make the process simple as possible. We’ve automated the process by preparing blocks, layers and commands in AutoCAD, and graphic styles in Autodesk Impression. The results were thrilling! After all solutions have been prepared and tested locally, Cad standards were installed on the company’s computers. A training course was organized for all employees who would have to use new Cad standards in the working process. 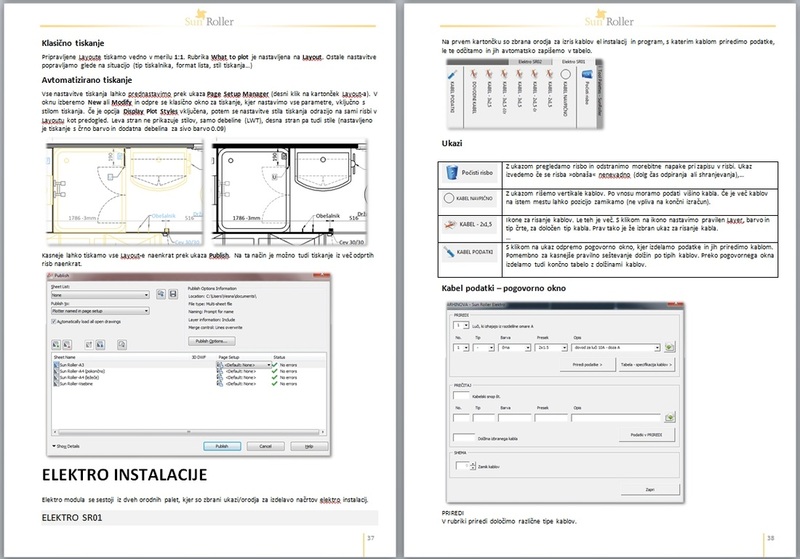 For additional help in following Cad standards a comprehensive Cad manual has been prepared. This manual covers all topics, instructions and rules of drawing to follow the implemented Cad standards. Company’s activities: Company has a long tradition in the development and industrial production of furniture for homes; living room, kitchen, children / youth rooms, etc. We’ve created two different 3D interior scenes. 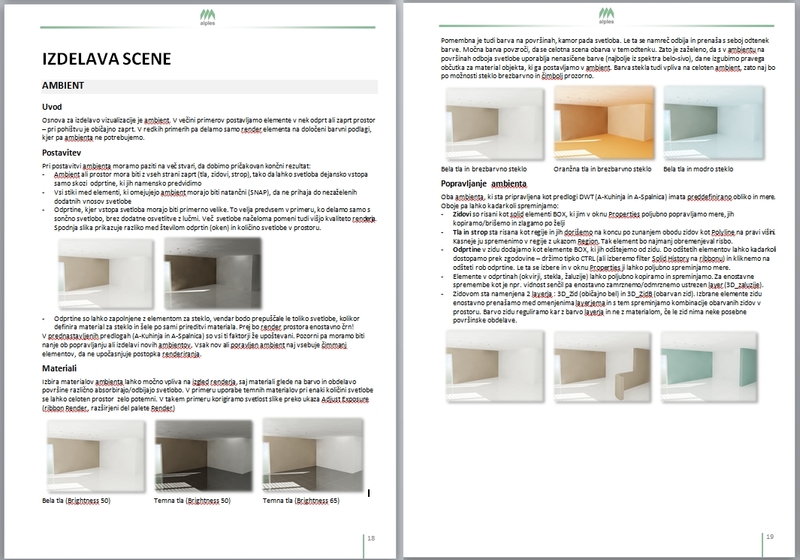 Each scene is defined by floor, walls, ceiling, windows and lights. All elements have also pre-assigned materials and each scene has been properly illuminated. Designers can now choose from 3 different drawing templates. 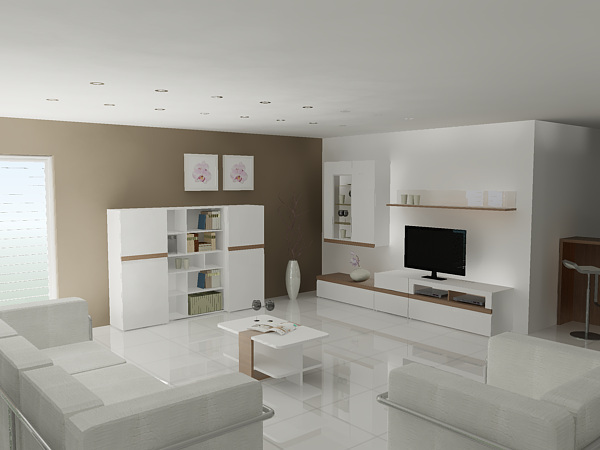 Two of them contain one of the prepared 3D scenes and the third one is set to render single pieces of furniture. All templates include pre-arranged layer list, saved views and different quality render settings. A workspace has been set to offer tools for quick access. 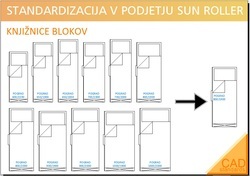 The company’s designers draw their own 3D models of numerous furniture programs, but without any materials attached. Creating material libraries had to be prepared and organized for simple use. The company already has sets of materials they use for their furniture production. These materials have been replicated in AutoCAD and sorted for each furniture program on Tool Palettes. When testing different materials for furniture, they can be now easily assigned to with just a few mouse clicks. To make the rendered scenes look more realistic, the company wanted a special library of 3D furniture, appliances, accessories and decoration that weren’t included in their production. Such 3D models were optimized for use, thereby small file sizes, already assigned materials and always at hand on Tool Palettes. All instructions and procedures to follow Cad standards have been written in a detailed Cad standards manual. It helps designers to follow the right steps to produce photo-realistic 3D ambient of their furniture. 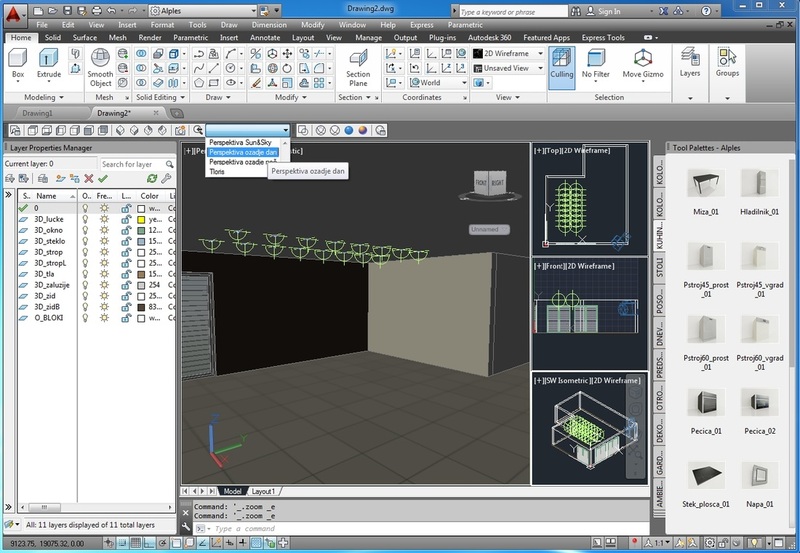 Cad files and settings have been installed on designers’ computers. Training course has been performed for of all employees involved in the project. The presented 3D rendering is an example of visualization created by using our tools and libraries. The company is very satisfied with the results and plans to upgrade their standardized procedure to the next level. An example of a 2D dynamic block library for windows and doors. Their dimensions have been preset, but they can also be random. Blocks are easily managed by grips or in the Properties window. 3D block library of lights with pre-assigned materials and ready to use in 3D rendering scenes. Materials from a material library can be quickly assigned to object or current drawing from Tool palettes.